Eco pens There are 5 products. 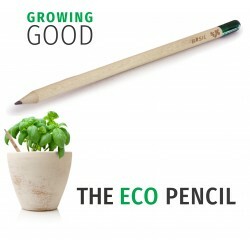 This is so much more thank just a pencil, it grows into a basil plant.A sustainable, plantable pencil.The end capsule is filled with basil seeds.Use your pencil, and when ready plant the end in to soil, add sun and water and watch it grow. 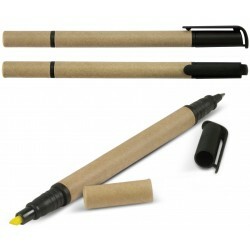 Environmentally friendly pen made from recycled cardboard and corn starch. It features yellow highlighter. It is great pen to show your green side. 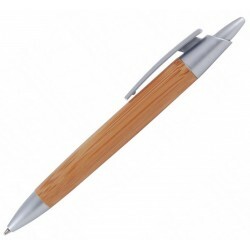 Push button ballpoint pen made from Bamboo, one of the world’s fastest growing plants. Natural wood grain finish ensures no two items are ever the same! Optional black suede velvet pouch. Writing distance: 2.1 kilometres. TC roller ball. Nero pigment ink.